There have been significant changes in search engines’ algorithms lately, and social media is a huge part of those changes. The goal of search engines is to help people find the most relevant content and information, as stated clearly in Google’s latest Panda update. One significant way the search engines measure relevance and quality of content is via the social signals attached to it. If a piece of content has many ‘likes’ or +1’s or is being re-tweeted, the search engines consider that content to be relevant and of good quality, thereby pushing it up in the search results. Hence, search results today are positively affected by social signals, a fact which is confirmed by both Bing and Google. Images show some key social signals that search engines consider: add them to your blog posts or website content pages. In the last decade, links were key for SEO: which websites were “voting” for others by linking to them. Today Social Media changes the game. 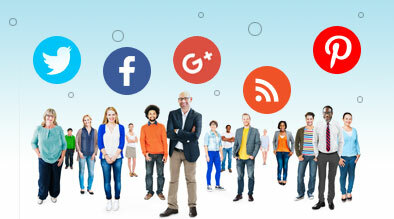 Social media signals are seen as very trusted and authoritative links by search engines. Social media channels allow people to vote for good content via clicks, bookmarks, re-tweets, Likes, +1, tags, and ratings. These are very strong signals and search engines are now placing high importance to social media activity when providing search results to the user. In conclusion, businesses should focus on creating content that people love and will want to share with others via social media channels.